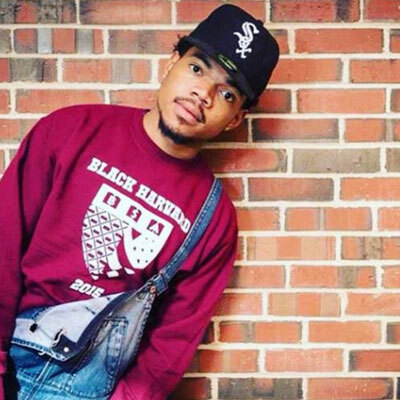 » Chance The Rapper’s Mixtape ‘Coloring Book’ Wows & How! If there ever were a piece of music that fully encompassed and defined the artist it belonged to, it would be Chance the Rapper’s new mixtape Coloring Book. In it, he reveals every facet of his being, further blurring the already evasive definition of a mixtape. In it, he expresses his struggles, achievements, longings, passions and regrets. In it, we get Chance the Rapper in all his spiritual, fluid and rhythmical glory. The mixtape was released on the 12th of May on Apple Music and, at that moment, the world came to a halt. In a week, it amassed close to a million tweets. To understand how incredible this is, you have to keep in mind that this is a mixtape, a word often used derogatorily to refer to rough-cut pieces of music released by obscure Soundcloud artists. “Summer Friends”, the third track on this mixtape, shows how musically unsolidified Chance is. He features Jeremih and does so in a way that combines the artist’s different musical perspectives. We have Chance’s vivid lyricism and Jeremih’s ambient build up, mashed up into a coherent wavy kind of song. He does something similar in his next collaboration “Mixtape” featuring the trap lords that are Young Thug and Lil Yatchy. Although the natural musical styles of these artists more often than not juxtapose themselves, Chance and Young Thug share a common love interest. That is, the mixtape. It works amazingly well and I wouldn’t be surprised if this song were to top the charts in the next few weeks. “Angels” is the first single from the mixtape that we’ve had for a few months now and in it he features his The Social Experiment bandmates in this criminally catchy track that’s a further expression of Chance’s beliefs, with the video set in his hometown, Chicago. The entire theme of the mixtape is conveyed in a line from “Blessings” – “I don’t make songs for free, I make them for freedom.” Freedom, in that Chance shall forever remain an independent spirit, never to be chained to any corporate behemoths. Through his freedom, he expresses his admiration for many of his musically talented friends, the unending strength of his Christian faith, his love for his hometown and his never-ending belief in the art form that is the mixtape. These are the facets of Chance’s being as he expresses them to us. And for this, we have to thank him. Chance 3, Coloring Book, was definitely worth the wait.